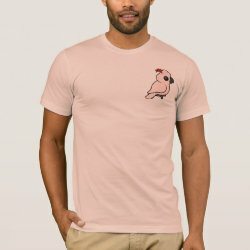 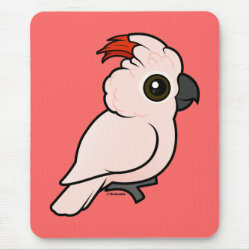 The Salmon-crested Cockatoo, also called the Moluccan Cockatoo, is a parrot native to Indonesia. 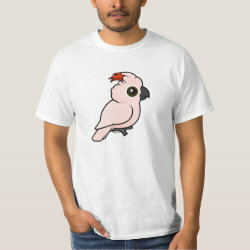 When excited, this large white cockatoo shows its striking crest with bright red feathers. 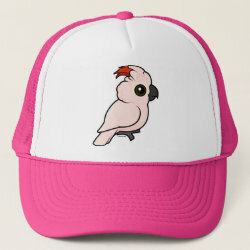 It has a loud call and is known for more... its ability to mimic. 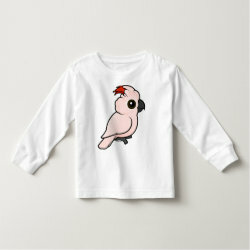 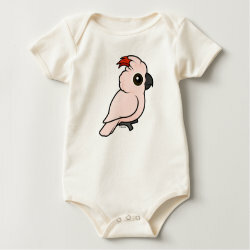 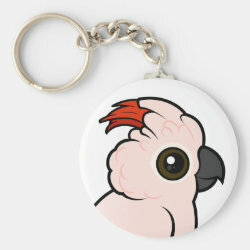 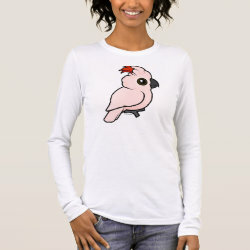 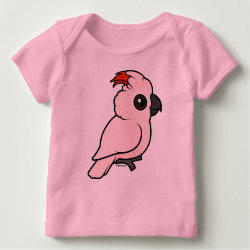 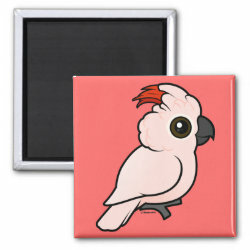 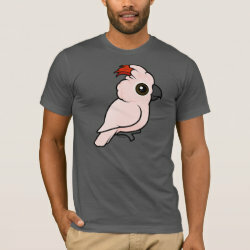 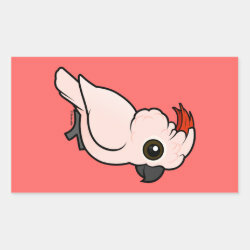 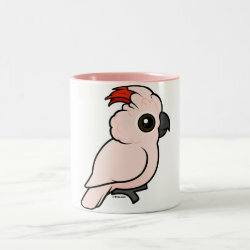 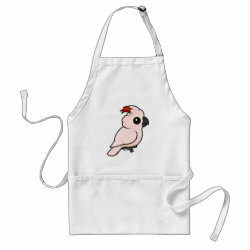 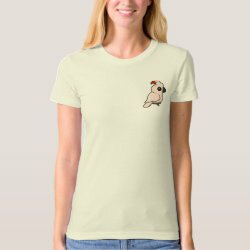 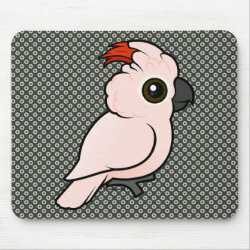 This is our totally cute Birdorable version of the Moluccan Cockatoo with crest playfully, partially raised.